God dropped by my house the other day. I had just got up that morning and stumbled into my kitchen and was sitting there at the table staring at the cereal box. Man…the interest and concentration we read the cereal box with is intense, isn’t it? If I believed in the application of subliminal messaging, that’s where I’d put my thoughts or commands. 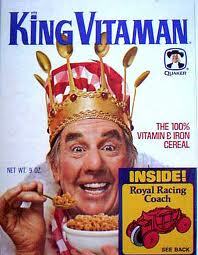 Come to think about it…I might rename my Blog page Cereal Box. Everyone will be drawn to it like Kim Kardashian is to paparazzi! They will be under my Control. Okay…back to my story. It’s cool how it happened. “It’s 630” said a voice outside my door. Laughter. 3 people. “It’s 630 for God sakes!” I yell as I head toward the door. That’s when I discover the purpose of the pinky toe. It’s only function is to find furniture in the dark. Wham! say’s my toe. (Y’all all know that pain). I frown. What are Jerry Garcia and Frank Zappa doing on my porch? There was a third guy, but I couldn’t see him that good. I frowned again. My heart is now in my pinky toe. My pinky toe is now behind my left eye…and it wants out. I open the door, and they walk right past me into the kitchen. The Frank Zappa guy brushed me as he passed and my toe quit hurting. I didn’t realize that until later. I was too busy watching the 3rd guy open my refrigerator door. “You got any bologna?” he asked. I was speechless. It took a little longer than 2 breaths to realize that Jerry knew my name. I looked at him with the question in my eyes. “I am not Jerry Garcia, but thanks for the compliment” He flashed a gap tooth smile. “I am God…and this is Jesus” he said nodding towards Frank Zappa. “And…” he grinned again looking past me, “That fridge raiding pirate is Lazarus”. I looked at them. Lazarus closed the fridge and sat down on the floor. He was wearing a black tee shirt that had “Get a life” on it. Ironic I thought to myself. Jesus said “ We read the blog you wrote the other day about your fall from Grace and we happened to be passing thru so Dad thought we should come by and answer any questions you might have…to an extent…” He looked at his father and grinned. God was reading the cereal box…his gaze lingered on it “What in the hell is Yellow #5…?” he asked no one in particular. He looked back at me. “So…out with it” he said, sitting back in the chair. “You know I am who I say I am, and you know I know who you are” I looked at Jesus, then back to God. God continued. “I wanted to get by here and see you…it’s been awhile since my last visit to you”. I got a mental image of a homeless man I bought breakfast for some years ago. All 3 smiled. I thought of hundreds of questions. “We don’t give lottery numbers” Jesus giggled out. Lazarus snorted. God kicked Jesus under the table. I didn’t laugh because I was trying to forge the questions in my head. They stared at me. God started reading the milk. I had one! It just popped into my head!! “Is Elvis dead?” I asked for some ungodly reason. Pardon the pun. Lazarus snickered. Jesus’ eye twitched. God put down the milk and looked at me. “No” he said “And I’m not telling you where he is” That was fair enough I thought. “Where is Jimmy Hoffa?” I added quickly. Jesus shrugged, running his fingers thru his beard “Hell, even we don’t know that” That surprised me a bit. Then, I became philosophical. I was going to ask for an answer to the most important question of all time from God the Father and his son Jesus Christ. A tear welled up in my eye. “What is the purpose of life?” I gushed out, wiping at my eye. “I got this one” Lazarus said behind me. God nodded, his arms across his chest. He was smiling again. I turned and looked at Lazarus. He was standing now. “Well” I continued “What is the purpose of life?” I was actually a little miffed I was getting my answer from the 3rd string. He looked at me and turned around…his back to me. “This is” said Lazarus pumping his thumb over his shoulder. On the back of his black tee-shirt were the words “Just live it”. Me…God, Jesus and Lazarus all sat down at my little table and had cereal. Oh wow..I’m so so glad I clicked on this one of the three you posted today…because it was SO awesome! !